The slope for sledges at Gardonè consists of a tongue of groomed snow which is 500 metres long. 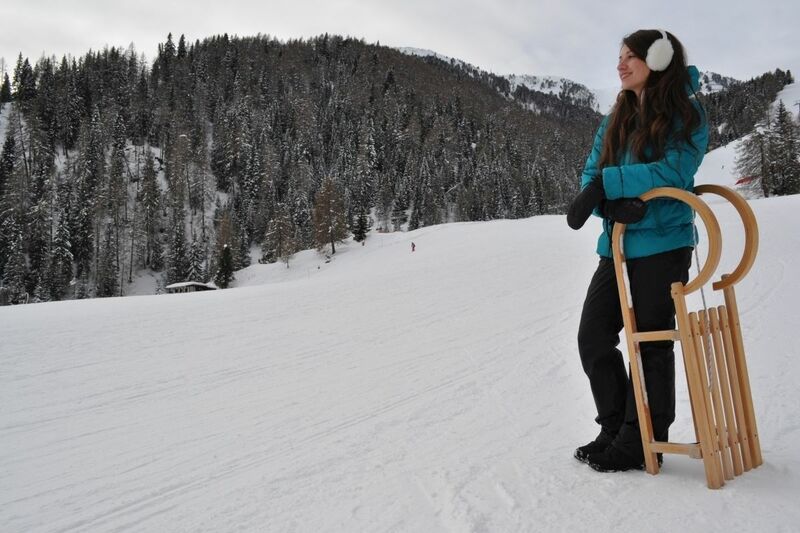 You can rent everything at Gardonè or bring your own sledge: make sure it is stable and remember that when you’re riding downhill, you need a helmet up to the age of 14. The start of the slope is not far from the bubble car: get your ticket, take the chairlift from the Gardonè nursery slope, and go down at full speed. Start and arrive at the same point, red faced and laughing. You are in Trentino, at 1650 m of altitude, at Gardonè: 10 minutes from Predazzo, in Val di Fiemme, on the UNESCO Dolomites. 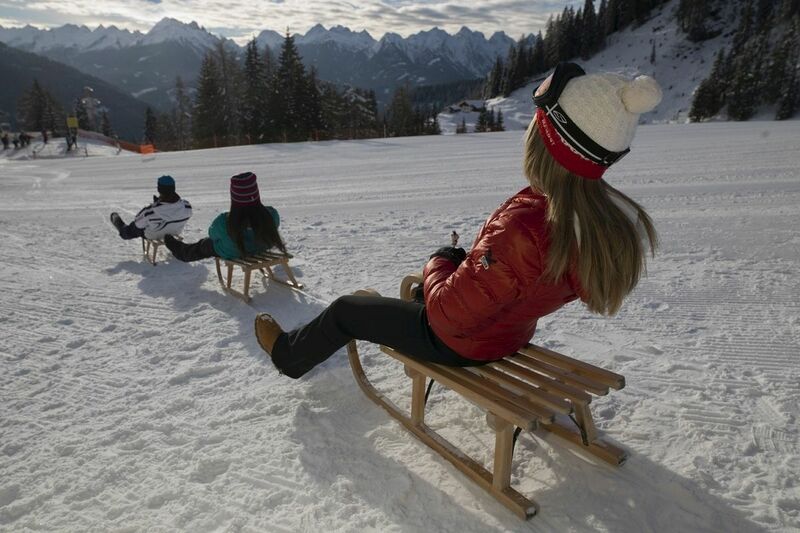 Gardonè is a magical place for sledging with your kids in the mountains and sharing activities on the snow. The children in Val di Fiemme were waiting for the first snow, with their noses pressed against the window, to go sledging: a downhill slope, a road with no cars, the sledge has been ready for weeks. After sledging for hours, with frozen noses, they finish off with a delicious hot chocolate. The children in the mountains judge and enjoy the first snow. They wonder whether the flakes will be large or small, soft or heavy, how much will fall. 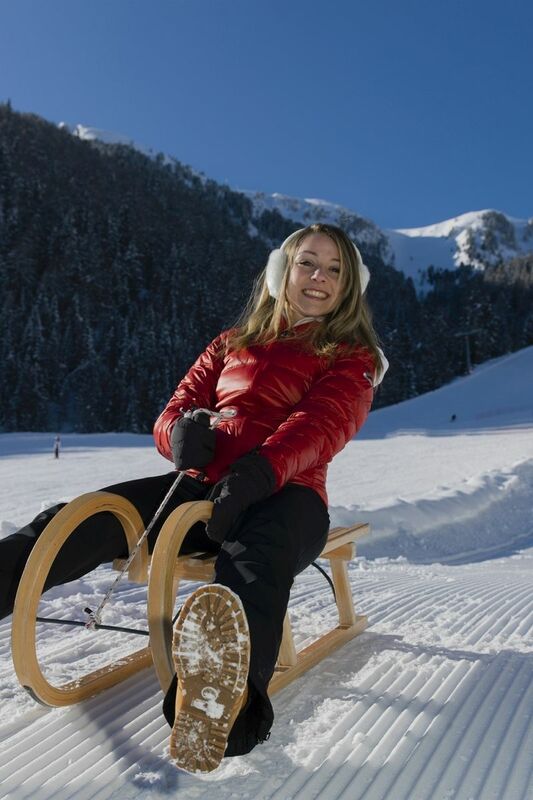 The sledge runs in Trentino make children happy. You don’t need to have any special training or have any special equipment. You need gloves, a hat, scarf, mountain boots, a helmet and wrap up well. 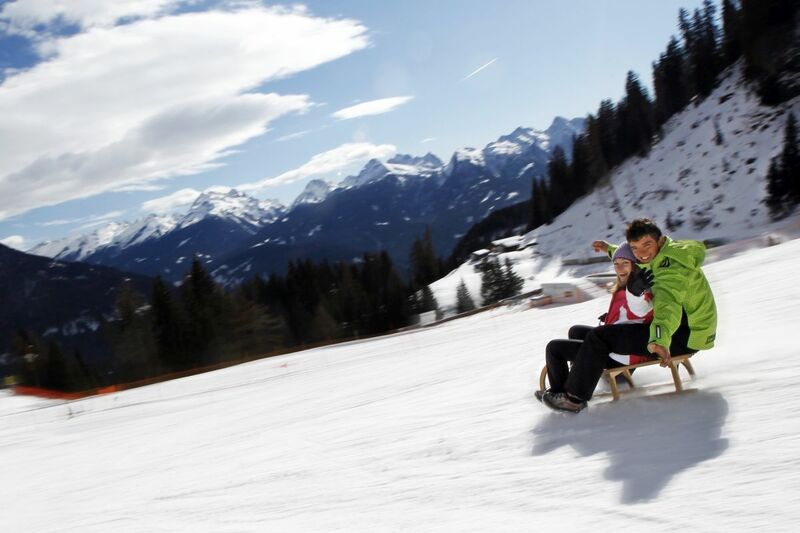 Sledges and bobsleds can be rented on the slopes: you can also sledge as a twosome, children and adults together. At Gardone you can also go for an easy walk with the children in the Dragon Forest, on the tracks of the strong , winged creatures who live in the Latemar mountains, whizz downhill on the Alpine Coaster Gardone and stop off in the Kingdom of the Dragons, a free open air playground.